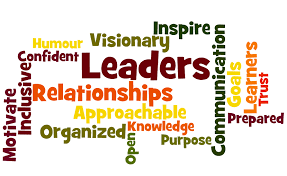 Some people are born with natural leadership skills, they have what it takes to command groups of people and teams to achieve success, these people can lead in any situation whether it be sports, business or a camping event with friends, they are the ones who call the shots. These people however are in the minority and the rest of us, should we wish to be leaders, need to work hard on gaining the skills that are required to lead. Successful leaders like Russ Lea, a man who has spent his career on managing large-scale projects in the science industry along the way working as a CEO and heading up academic research projects, these people all display a certain set of characteristics that make them great leaders and if you want to be like them then here are the skills you’ll need. Without dedication you will never become a great leader, you must be the most driven and the most committed in your team. It is from you that others will gain encouragement, if they see you pushing hard 24/7 in any area of business or life, then you inspire others to do the same. True leaders are the most committed people that you will find. Great leaders are aware of their weaknesses and work hard to eradicate them, nobody is perfect but the best among us constantly self evaluate to work on their lesser strengths. As a leader you will have a lot of responsibility on your shoulders and it is up to you to stay on your game. Seek advice from trusted colleagues, family and friends about what you can do better or how you can be a better leader. The best leaders are those with excellent communication skills, if you are heading up a team then each team member will have different roles, it is your job to ensure that they not only know what their roles and tasks are, but also that they receive this information simply and succinctly. Communication goes both ways and it is important that you become a good listener. Listening skills are vital, if you think that you can do it all on your own without advice of others then you are mistaken and your leadership credentials will be worse for it. Being positive is a key pert of leadership, it is important to remember that your mood filters down through a team and if you are negative or pessimistic about things then you can’t expect your team to be looking on the bright side. If you want to achieve results as part of a team then it is crucial that you all are feeling good about whatever project or task it is that you are undertaking. It is down to you as the leader in the team to emit positive energy that others can pick up on, this will gain you great results, whatever problems you have away from the team setting, leave them at the door. Which Branch of Engineering Is Right for You?